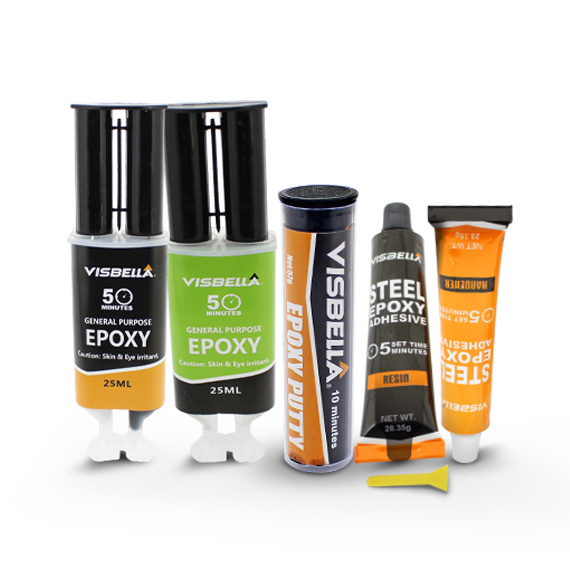 Visbella Epoxy Adhesives and Putty quickly and effectively bond and repair many different types of materials, making it the perfect addition to any repair tool-kit. 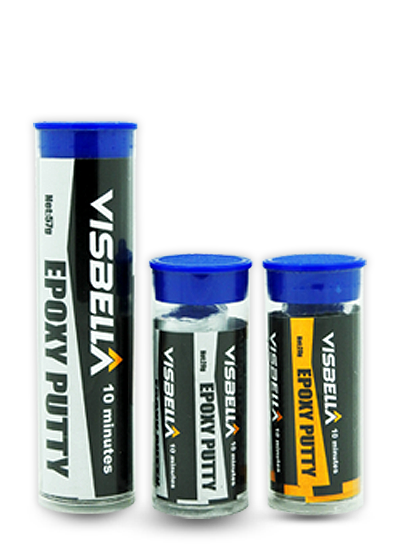 Visbella Epoxy Putty is a hand-mixable, steel-reinforced, non-rusting putty that quickly repairs or rebuilds anything made of metal, hard plastic, ceramic, glass, and many more. After mixing, it forms an industrial strength polymer compound that can be molded into shapes or used to build up, patch and repair components. It sets in 5-10 minutes and after 60 minutes, can be drilled, tapped, machined, ground, filed, and painted. It cures to a dark grey color and becomes an integral part of the repair. plastic, tile, ceramic, fiberglass, PVC, concrete, and more. It forms a near permanent bond with incredible strength and high impact resistance. Is the Epoxy water resistant? When fully cured, Visbella Epoxy becomes water resistant. Will the epoxy shrink once fully cured and cause leaks or holes? No, the epoxy will maintain its shape during the curing process. How long will it take for the epoxy to dry once the two components are mixed together? The set time for the epoxy is 5 minutes and the cure time is 1 hour after the two components are mixed together. Is there any preparation I need to do before applying the epoxy? As per instruction, the surface of the targeted area must be cleaned of all contaminants as best as possible in order to achieve the best results.